I'm sure you're all aware by now, that nothing gets me more excited than trying out a new Irish beauty brand. Over the last few years, we've seen a boom in the beauty world on these shores so it was only a matter of time before Blush Makeup landed in my lap. Blush Makeup was started by Nicola Walsh, who has worked in the makeup and beauty industry for over 10 years. 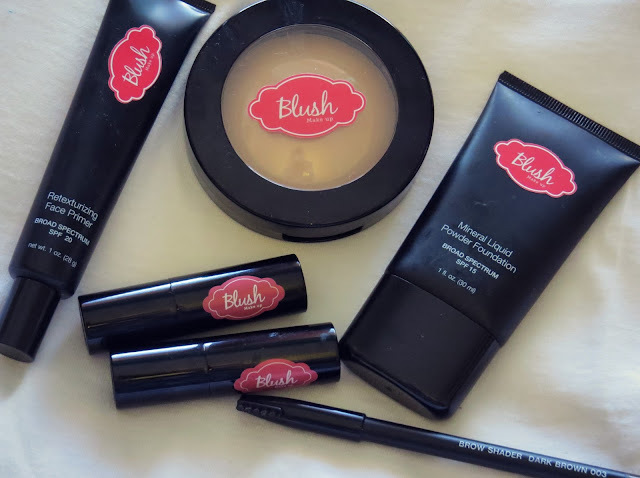 Blush Makeup offers a range of different products, from foundations to lipsticks. I was luckily sent out some bits to review, and I'm thoroughly impressed with it as a whole after having a play with it over the last few weeks. Baked Hydrating Powder Foundation in 'Light' (€27.50): This powder is one of my favourites of the bunch, reminding me of MAC's Mineralize Skin Finish without the slight glow! It can be used wet as a foundation, or as a powder (my preference). 'Light' is the teeniest bit too dark for me, but looks fine once blended into the face. It mattifies the skin without making it look cakey and you can build up any areas where you want more coverage. I absolutely adore this powder, and find that I don't need to reapply it constantly on my oily T-Zone throughout the day - which is always a bonus, especially during the warmer months! I can see this product lasting me for ages too, as barely a dint has been made in the palette. Retexturising Face Primer (€24.50): I'm quite a sucker for trying out new primers, as I rarely go without wearing one under my base. I liked this primer, especially the packaging and the fact it contained SPF 20. However, it didn't suit my skin type at all even though it claims to suit all of them! I have oily-combination skin, and I found that it made my T-Zone oilier throughout the day after I applied it. If you have dry-normal skin, this would work a treat. It smooths out imperfections and any fine lines, and the smallest bit goes a long way. 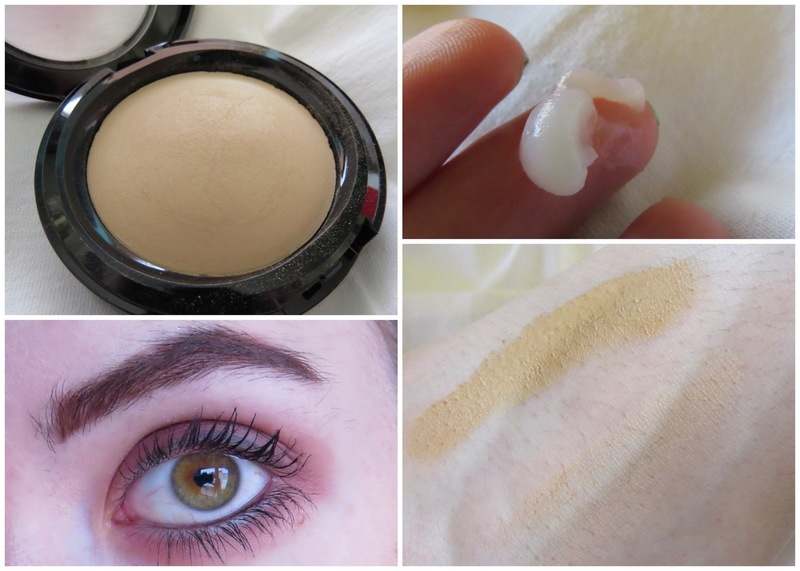 Mineral Liquid Foundation in 'Cream Beige' (€28.50): Unfortunately, this foundation was miles too dark for me skintone; in all honesty, I was disappointed seeing as Blush Makeup is an Irish company, I thought us Casper cailíns would have a shade especially! The foundation is really nice however, as I did wear it inside the house on a few occasions to try it out. It's oil-free, so it suited my skin type perfectly. I found that less is more with it, and that buffing and blending it into the skin properly ensured that it lasted for at least 4-5 hours throughout the day. It also contains SPF 15, which is always a bonus! Bottom right swatches: Mineral Liquid Foundation (left) and Baked Hydrating Powder Foundation (right). Brow Shader Pencil in 'Dark Brown' (€14.50): I'm quite an eyebrow-obsessed gal, so I'm always especially excited to give new brow products a go! I was impressed with the Brow Shader Pencil, although the shade was a slight bit too warm for my complexion. It blended nicely into my eyebrow hairs, looked natural and stayed put all day. It looked best after I applied a gel mascara on top of it. It is also fantastic to use as an eyeliner; I blend it into my lash line when I want a natural look, and it loos fantastic and stays put all day. 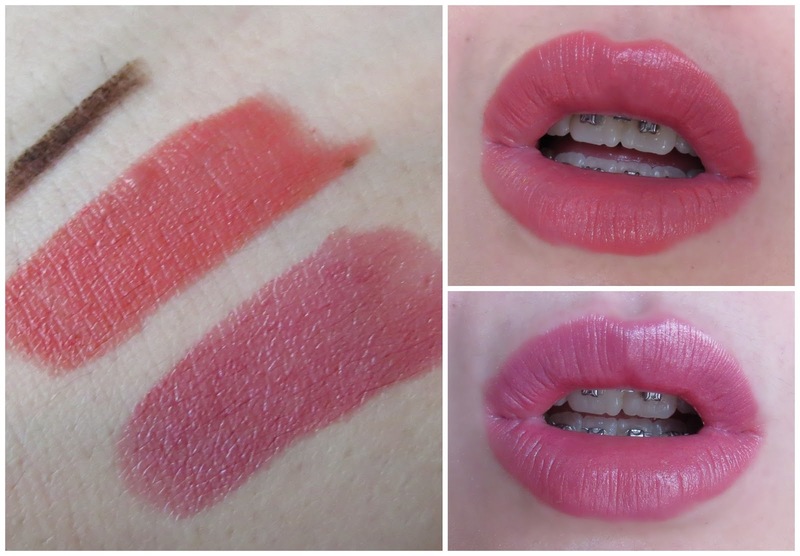 Luxury Lipsticks in 'Playful' and 'Charmed' (€13): My favourite products without a doubt from the range, are the two Luxury Lipsticks I received. Between the finish, the pigment, the smell and the longevity of them - they're flawless! They apply beautifully on to the lips, and the colour can be built up or blotted down depending on what you prefer. They're extremely moisturising, and don't feel cakey after a few hours after application. They're one of the more affordable ranges from Blush Makeup, and 100% worth the price. 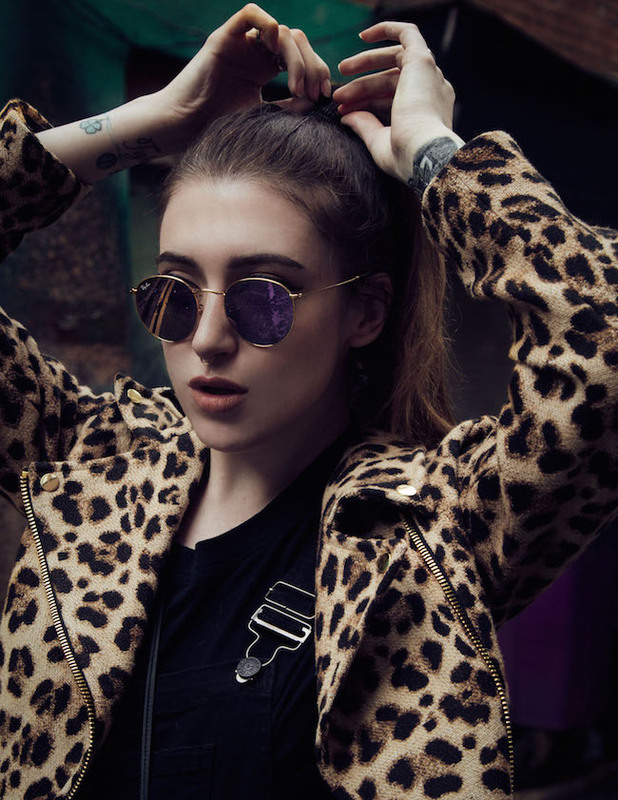 I've been wearing both shades non-stop since trying them. (Left-right) Brow Shader pencil in 'Dark Brown'. Luxury Lipsticks in 'Playful (left) and 'Charmed' right. Overall, I was really impressed with Blush Makeup. Although I do think the prices are quite steep, I can see the brand doing well in the Irish market. The lipsticks in particular are brilliant, and I highly recommend you give them a go if you're on the hunt for some new pout paint for the Summer!